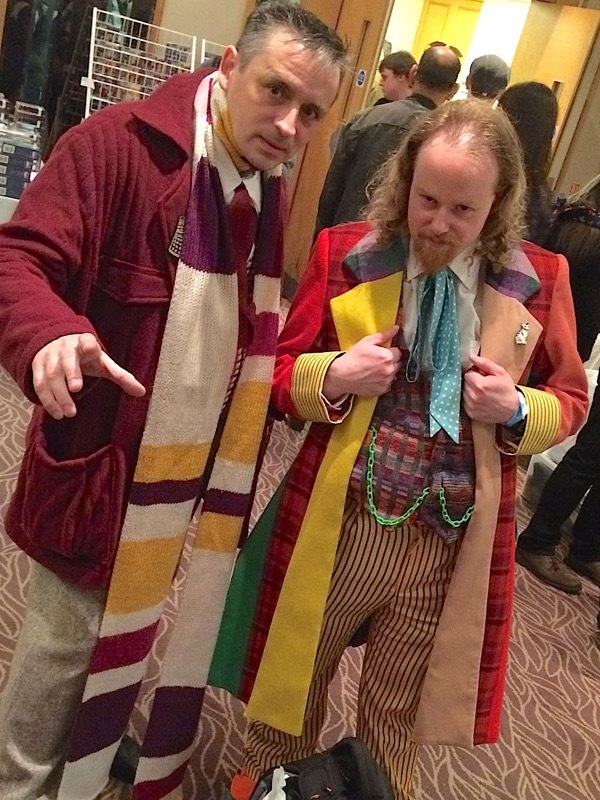 This weekend was Day Of The Doctors, the latest one-day convention organised by Tenth Planet Events. 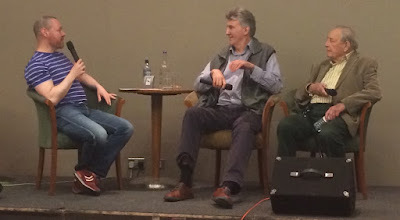 the headline guests are Tom Baker, Peter Davison and Colin Baker, however, Peter had to drop out at short notice, so we are getting Sylvester McCoy instead. There are also a number of other guests attending, ranging from the Valeyard himself Michael Jayston, to Cyber Leader David Banks, and David Collings who appeared in no less than three classic series adventures and genre-crossing legend David Warner. Now, I am sorry for being slow on the uptake here, but the inclusion of David Banks threw me a bit. What I hadn’t quite twigged was all the guests (bar a couple of also-rans) had at some point played “The Doctor” - hence the title of the convention. 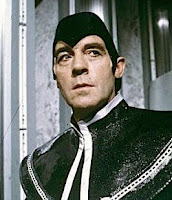 The Valeyard was The Doctor’s 13th regeneration; David Collings had played The Doctor for a reimagined Big Finish production and David Banks as you will hear played the part on stage when Jon Pertwee fell ill, but more on that later. With Tom in attendance I thought I’d wear my Denys Fisher doll costume, with the intention of getting my photo taken with him. This was the first time I had worn it to a UK convention and a number of people understood it straight away, which was cool. 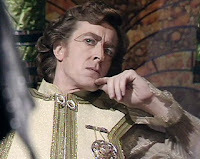 Usually I find the Tenth Planet events to be well planned and run, but on this occasion they were experimenting with a new format which frankly didn’t work for me. The morning was taken up by the obligatory photocalls, but this time around the main hall was used like a mass holding area, with a form of seated queuing system before being called through for respective photos. While this was happening there was absolutely no alternative programme to watch. So after I got my photo with Tom I was left with little to do before the main interview sessions kicked off. 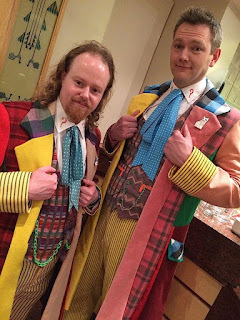 So in the meantime I caught up with Rob, one of my blog readers who has made his own Sixth Doctor Frock Coat. Seeing it close up I was VERY impressed with what he had done. It is not the easiest of garments to take on, so I have massive respect for anyone with the guts to make it working solely from photos as reference material. I was especially impressed with his hand-stitched appliqué strip in the rear of the coat, something I have seen others either get wildly wrong or completely omit as it is beyond their skill-set. 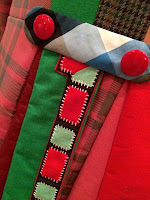 We had a good natter about the ins and outs of the collar and lapels, as well as sourcing the fabrics needed. 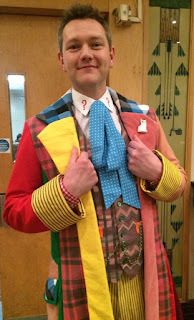 One of my other clients was attending wearing his Sixth Doctor Frock Coat that I had made him, and if you accept that my colours are matched directly from a screen-worn coat, you can see how well he has matched his own version. 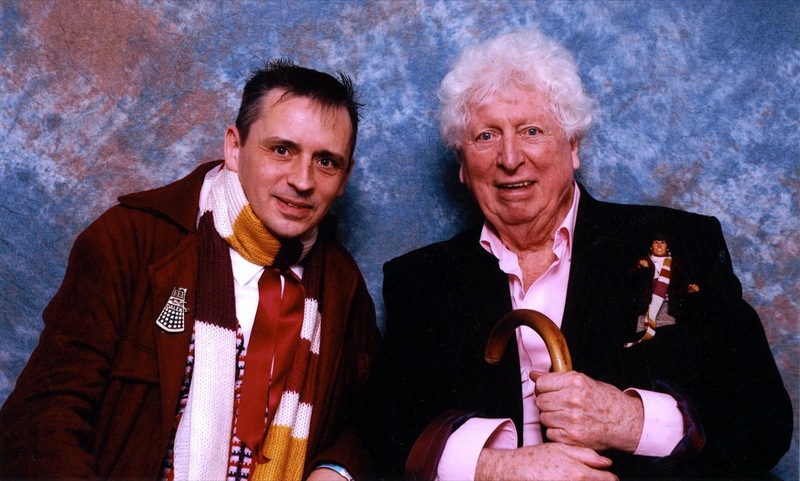 I only had one photo shoot booked, with Tom Baker, so once that had happened I had a pretty dull morning, since it wasn’t until 2pm before things really got going. When I showed Tom the doll he totally got the costume and was more than happy to pop the doll in his top pocket, making for a cool picture! Once everyone had their photoshoots done, it was time for the first interview panel. 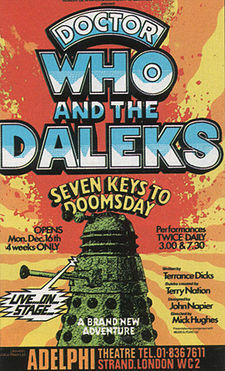 First up we had Colin Baker and Sylvester McCoy in a Doctor Who double-act. they were their usual selves, slightly bickering, always entertaining. Then at 3pm Michael Jayston, David Collings and David Warner took to the stage to discuss their times on Doctor Who, playing The Doctor themselves, as well as talking about other sci-fi programmes they were involved with. 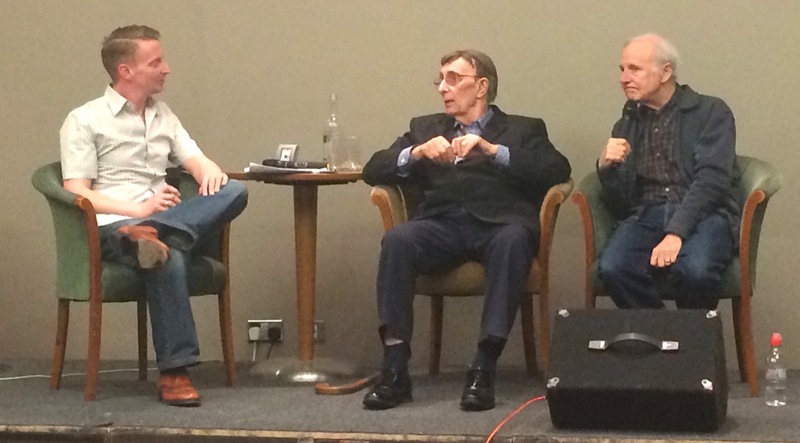 David Warner was particularly interesting to hear talk about working on Star Trek. Predictably he said the worst part was the make-up - but unpredictably it was having it removed at the end of the day that he hated the most. He said it was fine going into work early and just snoozing while the make-up artists applied it. The human cast were arrive a bit later and after a days work they would go home - but those with prosthetics had to go through another hour or so in the make-up chair while it was carefully removed. You don’t immediately think of that aspect to it. At 3.45pm it was the turn of David Banks and Trevor Martin. 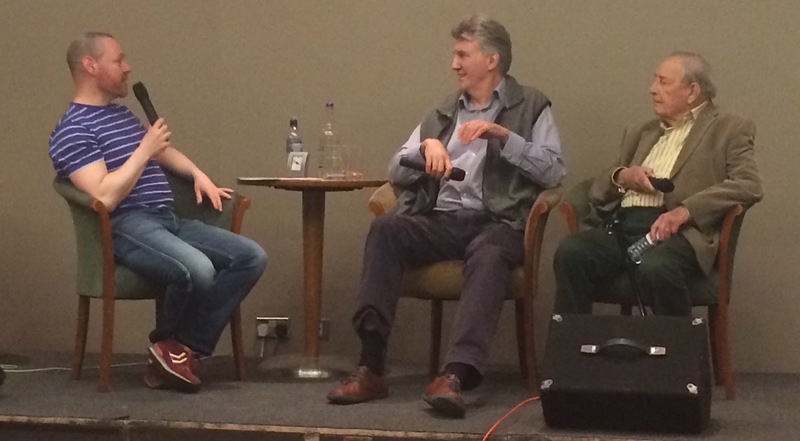 This was the stalking horse of the event and for me was bar far the best interview of the day. Trevor Martin had played The Doctor on stage in Doctor Who And The Daleks In The Seven Keys To Doomsday. 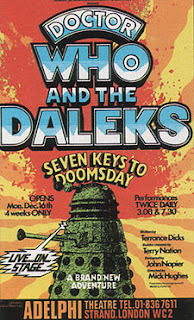 Written in 1974 by long-time contributor Terrance Dicks, it was a form of parallel universe interpretation to Doctor Who, with the play opening with the Third Doctor regenerating into the Trevor Martin version of the Fourth Doctor. 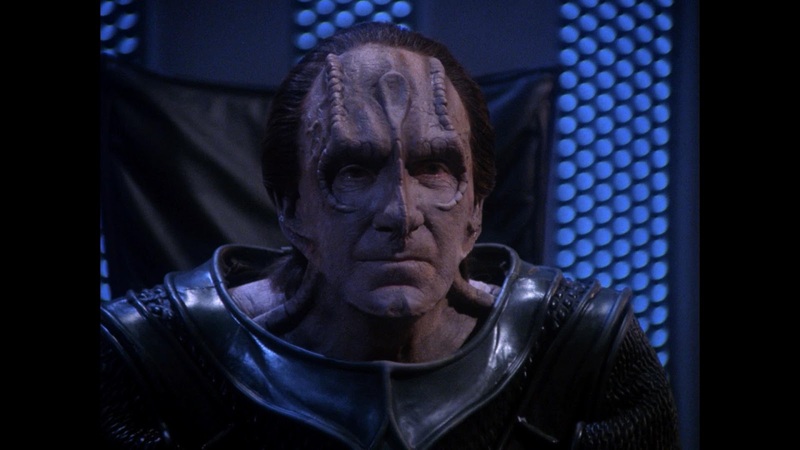 Trevor interpreted the role in his own way, creating his own regeneration. That really is the beauty of the series - it can be perpetually reinvented and still remain just as valid. 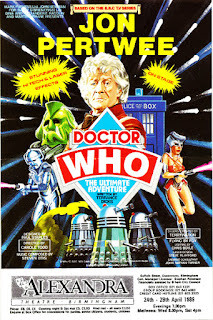 The same could be said for Doctor Who The Ultimate Adventure. 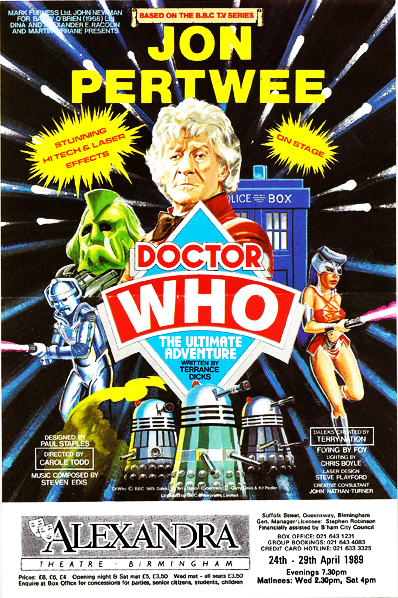 Staged in 1989 and starring Jon Pertwee, it was planned as a twenty theatre tour. After less than a month in the role Jon fell ill and had to bow out, so David Banks who was playing the villain of the piece (and was Jon’s understudy) had to step up and take on the lead part. Jon did briefly return to the part, but handed over to Colin Baker who took over for the rest of the run. Finally at 4.40pm it was the turn of David Gooderson and Peter Miles. 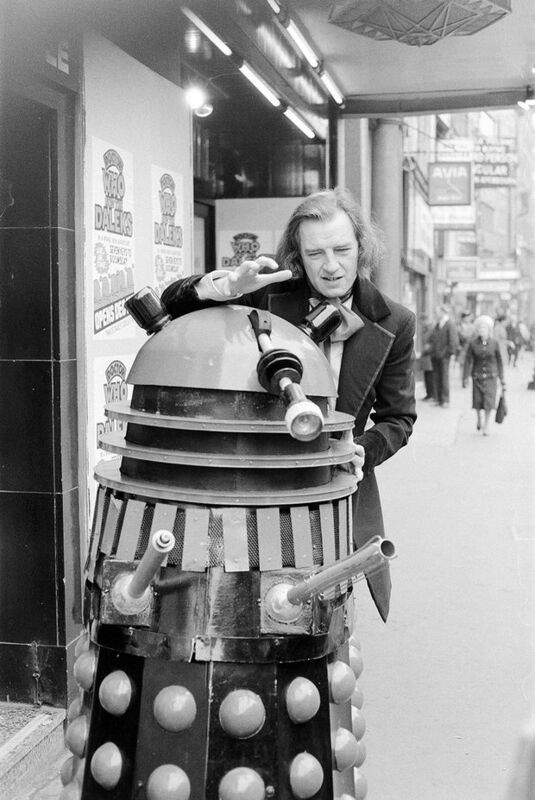 Both actors come from the world of Davros, with David having played the iconic part on Destiny Of The Daleks, and Peter was his right-hand man in Genesis Of The Daleks. I met David only a couple of months back at Gallifrey One in Los Angeles. He is the nicest, sweetest and most softly spoken guy you could imagine - far from his villainous screen persona. Peter on the other hand was a bit more abrasive and abrupt during the interview. Happy to talk, but no time for messing around. 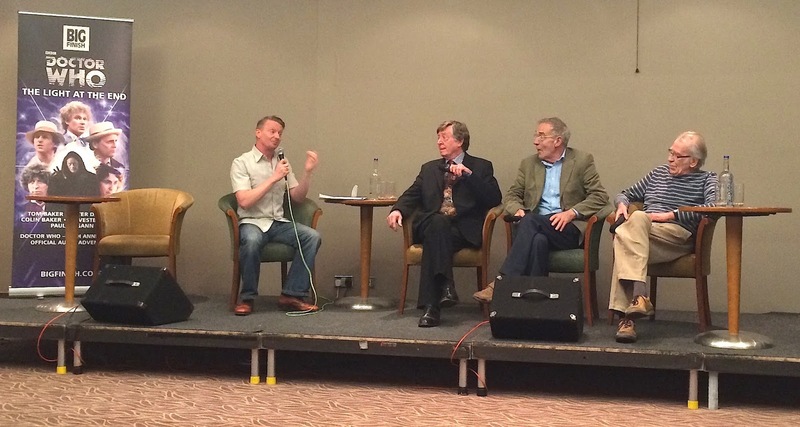 All in all it was a good day, with some great guests and insightful interviews. I hope they don't repeat the morning format again - it didn’t work for me!